If You’ve Been Wounded, There Is Hope. Look To Jesus. Today is Veterans Day — a time when we honor those who have served in the military to defend our freedoms. You may notice men and women wearing hats that tell what branch of our armed forces they served in and if they fought in Vietnam or even World War II. You will also notice many of them wearing ribbons over their hearts that tell stories of military accomplishments and sacrifice. If you see a dark purple ribbon with white stripes binding each end, you’re looking at a member of the walking wounded. 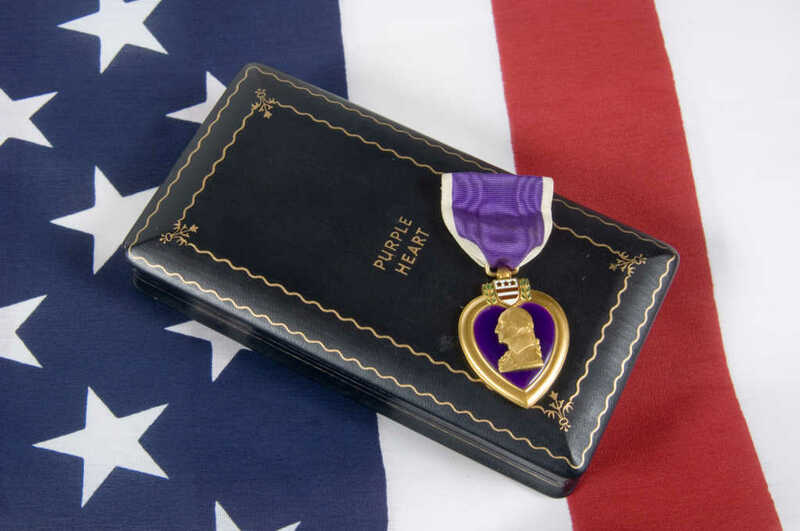 The Purple Heart is a decoration awarded to service members who have been wounded or killed in the line of duty. You and I live in a wounded world — and we don’t need a ribbon or medal to tell us so. Be it illness, a personal loss, a sudden tragedy, depression or addiction, we all carry the wounds life has inflicted on us. Sometimes these wounds run so deep and hurt so bad, it seems there is no way out, no light at the end of the tunnel. It’s in those moments — when the words “Lord, help me!” won’t even come out of your mouth — that we need to remember these two truths: God knows how we feel, and God can give us strength to get us through these difficult times. I’m always moved when I read the story of Jesus mourning for his friend Lazarus, because it shows us what God’s heart is really about. Lazarus was the brother of Mary and Martha, two women who followed Jesus and were dear to him. When their brother Lazarus got sick, the sisters sent word to Jesus saying, “Your dear friend is very sick.” But to everyone’s surprise, Jesus delayed. In fact, by the time he finally arrived, Lazarus had been dead and buried a full four days! Nobody else knew it, but Jesus had a plan to show his power by resurrecting Lazarus from the dead. Just two words, the shortest verse in the Bible, but it speaks volumes. Despite knowing he would see his friend again soon — less than 10 verses later we see Lazarus rise from the dead — Jesus empathized with Mary and Martha. If he knew how they felt and shared their pain, won’t he also be with us in times of hardship? Dr. Jerome Groopman, a distinguished professor at Harvard Medical School and one of the world’s leading researchers in cancer and AIDS, has studied the power of hope in medicine. “For all my patients, hope – true hope – has proved as important as any medication I might prescribe or any procedure I might perform,” Dr. Groopman says. Belief and expectation-the key elements of hope-can block pain by releasing the brain’s endorphins and enkephalins, mimicking the effects of morphine. In some cases, hope can also have important effects on fundamental physiological processes like respiration, circulation, and motor function. During the course of an illness, then, hope can be imagined as a domino effect, a chain reaction in which each link makes improvement more likely. It changes us profoundly in spirit and in body. If there’s one crystal clear promise in the Bible it is that we can always put our hope in God. No matter how dark the skies may get or how impossible the situation may seem, you can always turn to God and find the strength and comfort you need to get through whatever you are facing. Whether you have been awarded a Purple Heart or not, you can rest assured today that God knows how you feel, and he can give you the strength to get through the storm. Just put your hope in him. Jack Graham is the pastor of Prestonwood Baptist Church and the host of PowerPoint Ministries.